Reykjavik, Iceland’s capital, is a beautiful coastal city located in southwestern Iceland. 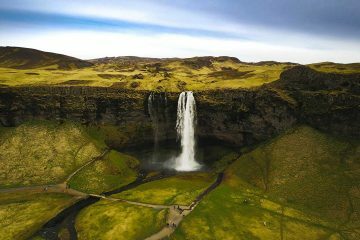 It’s the country’s biggest city and is one of the most popular tourist destinations in Iceland. While the weather isn’t always the best, this is still a city you’ll definitely want to check out. From museums and historic sites to boutique shopping and dining, it’s easy to fall in love with Reykjavik and its amazing sights. 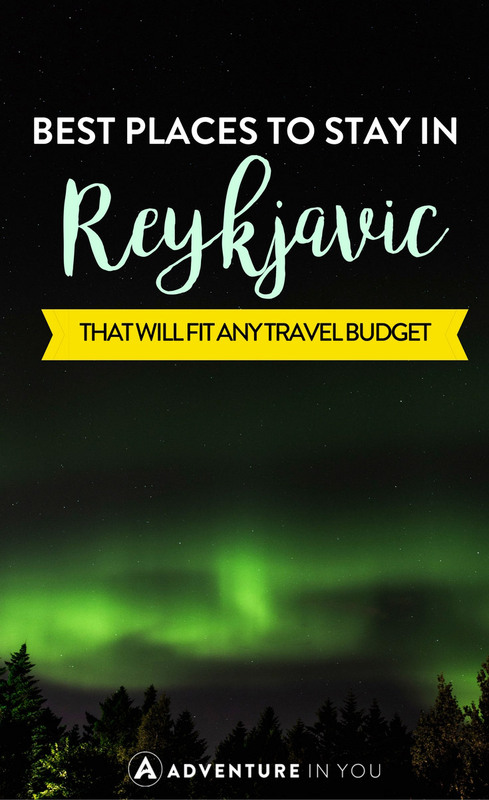 Here are a few recommendations for some of the best places to stay in Reykjavik, broken down by cost, so you’ll be able to find the perfect place no matter what your budget. As far as hostels go, this one is incredibly nice. Rooms are clean and neat with hardwood floors and extra sitting spaces. The bunks in the dorms are simple but comfortable. The hostel is very eco-friendly and even offers an organic breakfast buffet each morning. Private rooms are available, and if you stay in the dorms there are private lockers to keep your stuff safe. This place is homey, with an eclectic, old-fashioned style. The rooms themselves are simple but seem very new and clean. The dorms do utilize their space to the max, with multiple bunks next to each other, but they’re still fairly nice. Excellent heating and cozy lounge and bar areas are perfect for chilly Icelandic nights, making this place feel just like home. The rooms here are very small, but otherwise, this is a great place to stay on a budget. Dorms are clean and well-maintained and are brightly lit, too. There is a paid breakfast option each morning, but if you prefer, you can also use the kitchen on-site free of charge to make your own meals. Some rooms have balconies so you can enjoy views of the surrounding city. This hotel is a few steps up from a hostel but still manages to be very budget-friendly. The basic rooms are small, but there’s the option for bigger rooms and suites, too, if you want more space. 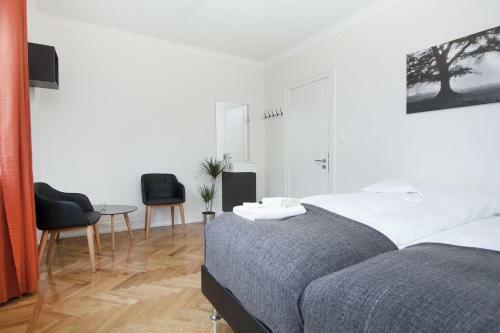 The hotel is situated near Reykjavik’s main shopping street, Laugavegur, and is within walking distance of most of the city’s main attractions. If you want a place to stay that feels more like a home than a hotel, this guesthouse is perfect. With a limited number of rooms, shared bathrooms, and a large kitchen, it feels like staying in a private house more than a hotel. Rooms have ample space and comfortable beds, and the guesthouse is within walking distance of most main attractions, which is great. The rooms in this guesthouse are cute and well-decorated. They’re not huge, but they’re big enough to relax without feeling too cramped. Private rooms are offered with shared common areas: bathrooms, kitchen, and lounge area. The guesthouse has everything you’ll need, but the 101 neighborhood it’s in is perfect for dining out or exploring, too. The bedrooms here are pretty small, but they’re very well decorated and have a cozy feel. The bedroom of the studio apartment is a bit more spacious and includes an attached kitchen and dining area. The neighborhood is pretty quiet and you’ll find a private terrace to enjoy the outdoors. Bicycles are available for rent, too, to make it easier to explore the city. These apartments are really beautiful. Their location next to Reykjavik’s main shopping street is ideal. This is a great place to base yourself during your stay, with easy access to everything outside your door. The brightly lit rooms even have walk-out balconies, which is great on warm summer evenings or cool mornings. 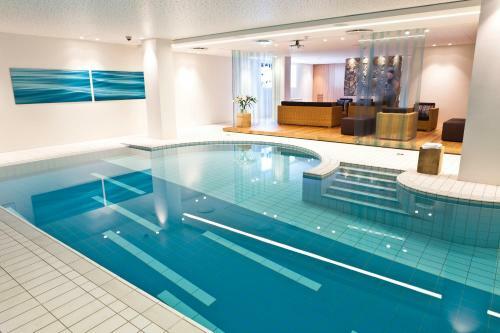 If you’re ready to splurge, this luxury hotel in the heart of Reykjavik is worth the cost. It has three different restaurants on site, as well as a top-tier spa center. Unique pieces of artwork are displayed in the lobby, and there’s also a comfortable lounge area. A gourmet breakfast spread is served each morning, which guests love! This hotel is situated in a quiet area of the city, close to the woods and not far from the beach. It’s a bit of a respite from the chaos of the city while still maintaining all the convenience of a city location. The interior is warm and welcoming, with simple but elegant bedrooms, an expansive indoor pool, and a charming lounge complete with a fireplace. The perfect place to spend those cold winter nights! This hotel features trendy and fun decor that manages to still look sophisticated. The spacious rooms and large windows bring in a lot of natural light. The bedrooms feature hardwood floors while the bathrooms show off sleek checkered designs. One of the best parts of this hotel? The on-site movie theater room! Beautiful ocean views and spacious rooms make this hotel extra appealing. The bedrooms feature hardwood floors and elegant decor, giving them an exclusive feel. The location can’t be beat, not far from the water, and close to the popular Laugavegur walking street. The hotel features a stylish bar and beer garden as well as a full restaurant and lounge.